Harman's range includes the new AMX, BSS and JBL solutions. Harman has unveiled a range of scalable audio and video solutions at InfoComm India 2018. This includes the new AMX, BSS and JBL solutions. The AMX VPX Series Presentation Switchers are a family of multi-format presentation switchers that target small conference rooms and flipped classrooms. The BSS DCP-555 Digital Conferencing Processor is an intelligent audio solution designed specifically for web and audio conferencing in meeting spaces. The JBL Professional VLA Compact Series line array solution is built upon the JBL Variable Line Array (VLA) Series of long throw line arrays and offers the same performance quality in a more compact, outdoor-ready solution. HARMAN Professional Solutions, the global leader in audio, video, lighting and control systems including networked AV, today launched a range of new, powerful and scalable audio and video solutions at InfoComm India 2018*. The new AMX, BSS and JBL solutions will simplify technology and empower customer engagements across Corporate, Retail, Education, Sports and Hospitality verticals. · AMX VPX-1401 – The VPX-1401 is 4x1 switcher with 3 HDMI inputs and 1 VGA input. · AMX VPX-1701 – The VPX-1701 is a 7x1 switcher that includes 5 HDMI inputs and 2 VGA inputs. · AMX Precis 4K60 Matrix Switcher – It supports 4K60 4:4:4 and HDCP 2.2 and includes dynamic audio de-embedding capabilities, offering a solution that is compatible with the latest sources and displays. · AMX DCE-1 4K60 In-Line Controller – It combines CEC control, EDID emulation and audio extraction in a single, cost-effective device. · AMX SCL-1 4K60 Scaler – This small-format scaler adjusts the resolution of a video source to match the optimal resolution of the display. This single input/output product can be used in combination with other products—such as the local HDMI outputs on the AMX Precis 8x8—where scaling can be used to optimize the experience. · AMX DXLite Series 4K60 Distance Transport with HDR – It leverages HDBaseT technology to distribute audio, video, and USB 2.0 over a single category cable. The BSS DCP-555 Digital Conferencing Processor is an intelligent audio solution designed specifically for web and audio conferencing in meeting spaces. Leveraging BSS’s nearly 40 years of innovation in intelligent audio technology, the DCP-555 provides superior sound processing quality in a template-based solution designed for conference rooms, boardrooms and classrooms, providing industry-leading sound processing and automated mixing of microphones, PC audio, and other audio sources, with acoustic echo cancellation ensuring the meeting is clear and effective. The JBL Professional VLA Compact Series line array solution is built upon the industry-leading capabilities of the JBL Variable Line Array (VLA) Series of long throw line arrays and offers the same performance quality in a more compact, outdoor-ready solution. This series offers advanced audio capabilities, out-of-the-box IP55-rated all-weather protection and a fiberglass enclosure, ideal for any large venue, from small to mid-sized stadiums and arenas to larger venues where speakers are mounted at a long distance from the listener. VLA Compact is designed specifically for audio levels capable of overcoming crowd noise. 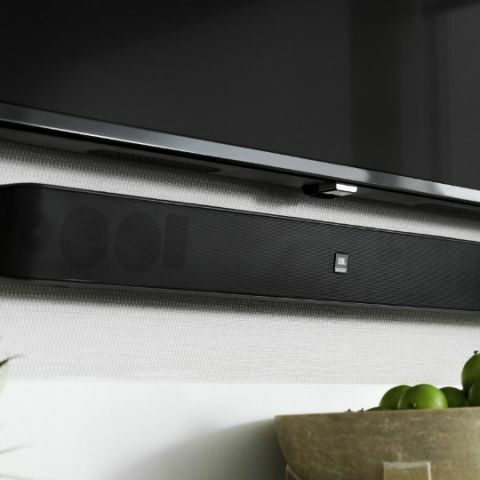 The JBL Professional Pro SoundBar PSB-1 addresses the unique requirements of hospitality spaces and pairs with Samsung 690 Series hospitality TV for a holistic entertainment solution for hotel guest rooms and cruise ship staterooms. The soundbar also offers IR Learning, allowing it to “learn” the IR pulse of a TV remote’s volume controls. This allows guests in fixed source applications to control volume without the need for a programmable. Which laptop is best buy at range upto 30000?